Sorry, folks. 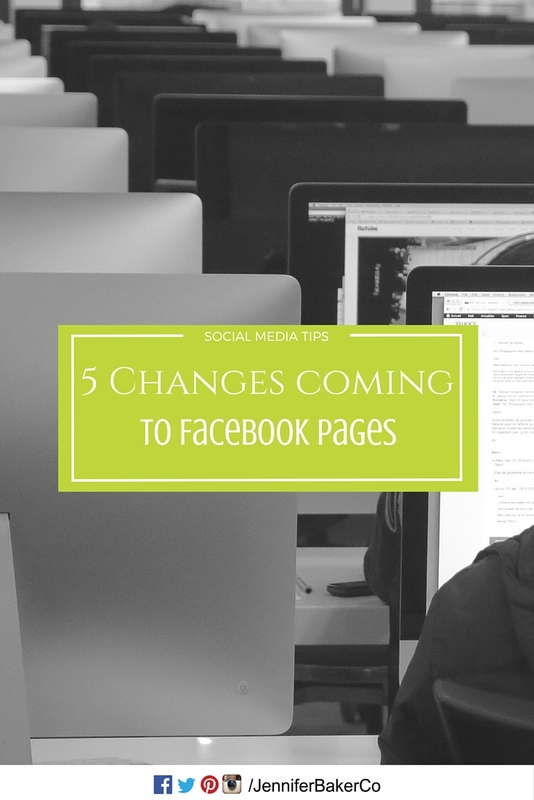 It’s time to exercise your patience: Changes are being rolled out to Facebook Pages. This past week, I logged on to a client’s Facebook page and was able to see the new structure and layout! Main Navigation: Thankfully the top navigation bar, above the cover photo, has NOT changed! This lack of change will ensure that you will be able to continue to navigate to the important sections of your page, including Messages and Notifications. 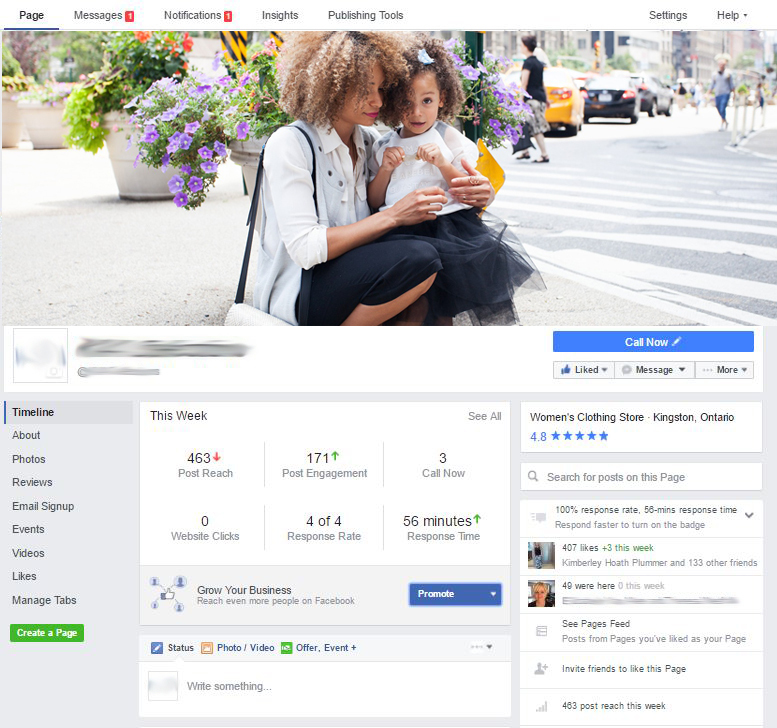 Profile Photo & Company Name: From past experience I was aware of the frustration that many people faced when trying to properly size the cover photo to fit around the profile photo, name, categories, call-to-action buttons, and general page clutter. If you are one of the frustrated individuals, then you’ll welcome this next change. The cover photo is now unobstructed! All the other elements, including profile photo, name, and call-to-action are now positioned underneath the cover photo. Left Navigation: Rather than the page navigation being positioned under the cover photo, it is now located on the left-side of the page. This repositioning has clarified the page navigation and available apps, including email sign-up, photos, and videos. Right Navigation: All the content that used to be on the left, is now located on the right side of the page. This includes category, reviews, response time, likes, check-ins, and Pages Feed. Insight Summary: What used to appear as a pop-up insight summary on the right-hand side is now located in the main Page Newsfeed. Page Admins, fear not! This information is only available for YOU!